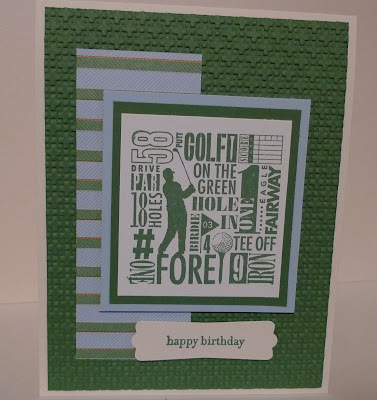 Karina's Kreations: Quick On The Green Card! Quick On The Green Card! 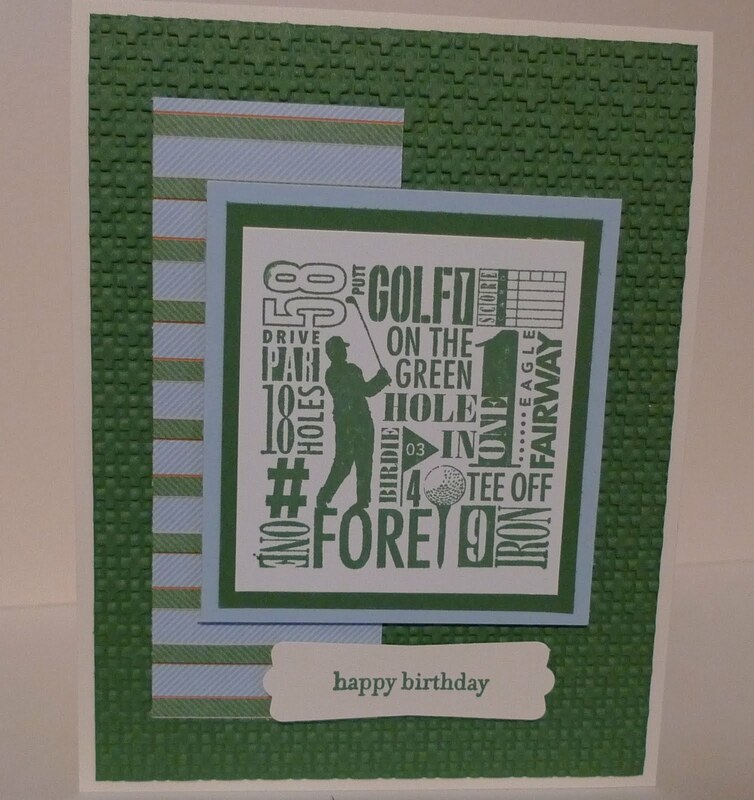 It uses an a la carte stamp called On The Green. There is one stamp for only $11.95. The a la carte stamps are great for hostess gifts or small presents for friends. The designer paper is retired but you can buy it as a digital download for only $13.25 and print it with My Digital Studio. It called Travel Journal.